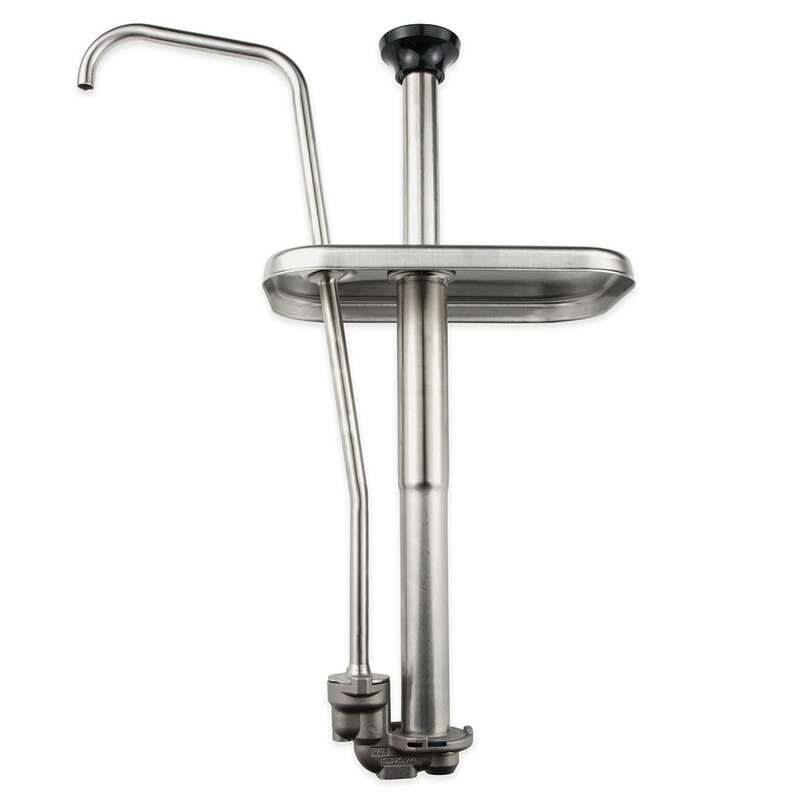 Constructed of stainless steel, each condiment pump features a rugged cast valve body with captured stainless steel balls that help prevent product loss from drips. 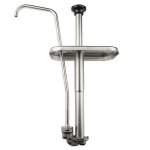 A pump and jar drop into a raised rail or can be placed into a Serving Bar. HOLDCOLD jars will maintain serving temperature up to twelve hours, when used properly. Unit will pump condiments from a deep fountain jar. Maximum stroke yields 11⁄4-ounce with gauging collars supplied to reduce yield in 1/4-ounce increments. Fountain jar not included. Maximum stroke yields 11⁄4 ounces. Easy-to-adjust portion control in 1⁄8-ounce increments. Two cleaning brushes included for pump maintenance.